JOIN OUR LATEST 3-SENTENCE CHILDREN'S STORY: Setting for a Fairy Tale! JOIN OUR NEW 3-SENTENCE STORY CONTEST! THREE WINNERS WILL GET P3,000.00 EACH!!! We're using CANVAS STORIES, our Facebook app, again to showcase artworks designed to inspire new stories. This time, we're looking for stories (or poems or musings or random thoughts, really) that derive inspiration from our Art Fair 2016 show: SETTING FOR A FAIRY TALE. Between now (February 13) and March 15, take our app (www.canvasstories.com) for a spin, and submit 3-sentence stories for any, some, or all of the artworks. We will choose the three stories we like best from all the entries submitted. The writers of the three selected stories will each get P3,000. Entries may be in English or Filipino, and you may submit as many entries as you wish. For more details, check out our FAQs, and our Terms and Rules. We've given you six great settings for fairy tales. 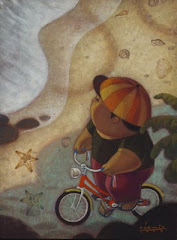 Now, log on now to www.canvasstories.com, unlock the stories with your imagination, and join the fun! 1. The 14th Romeo Forbes Children's Story Writing Competition is open to all Filipinos. 2. Entries must not have been previously published, and all entrants must warrant the originality of their submitted entries. 3. Writers may submit only one entry, in English or Filipino, which shall be of 1,000 words or less. This word limit is a strict and absolute limit. Even just one word above the limit will be enough to disqualify an entry. 4. There is no particular theme, other than the use of this year's contest piece, a new work (shown above) by artist Arvi Fetalvero, as the inspiration or basis for the entry. Based on the points received, CANVAS shall forward a shortlist of three to five stories with the highest scores to the Artist. The Artist shall then provide comments on any or all the stories, for final consideration by the panel of judges. The panel of judges - taking the contest criteria and Artist comments into non-binding consideration - shall collectively choose the winner from the shortlist of stories. If the judges cannot come to a consensus on the winner, they shall take a vote and the entry that gains the most number of votes shall be declared the winner. None of CANVAS' review panel, the judges or the Artist shall see any entrant's name until the winner is chosen. (a) Submit your entry as a Microsoft Word attachment to storycontest@canvas.ph with the subject heading 14th ROMEO FORBES CHILDREN'S STORY WRITING COMPETITION. (b) Please use the title of your story (or the first five words of the title) as the file name of your entry. (c) Your attached entry must contain only the title and full text of your story. DO NOT include your name, contact number, address, or any other information, and do not attach any pictures or other identifying information. (d) Put your name, mailing and email address, and telephone/cellphone number in the body of your email when you submit your entry. 7. The deadline for submission of entries is 8:00 p.m. (Manila time), Wednesday, 16 December 2015. CANVAS acknowledges each and every entry that we receive. If you submitted a story, and do not receive an acknowledgement from us within 24 hours, please assume that your story was not received and kindly resend it to us. Nevertheless, entries received after the deadline, even if sent earlier, may no longer be considered for the Competition. CANVAS shall not be responsible for entries which are not received, or which are received after the deadline, due to technical failure or for any other reason whatsoever. 8. All entrants hereby agree to authorize CANVAS to post such entries on its website, as CANVAS deems fit, and free from any payments, royalties or fees whatsoever. 9. There shall be only one winner, who shall receive a cash prize of PhP 45,000.00 (less applicable withholding tax) for his/her entry. The winner shall be responsible for all applicable taxes. The winning writer shall also be entitled to five (5) free copies upon publication of the book. The winner shall grant and transfer to CANVAS all intellectual property and publication rights to the story, including anytranslations, adaptations or modifications thereto. 10. Except for the right to publish any received entry on its website, CANVAS shall not retain any other rights to entries that are not selected as the winner, except where separate agreements are reached with the writers. 11. CANVAS shall exercise full and exclusive editorial and artistic control over the publication of the winning entry and resulting book. 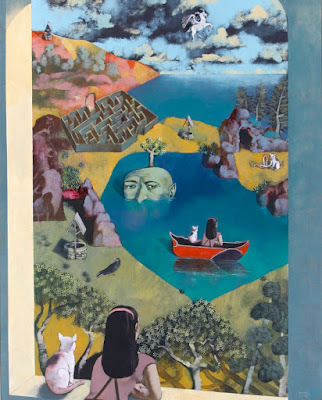 While, it is the full intention of CANVAS to publish the winning entry as a full-color children's book, CANVAS reserves the right not to publish the same for any reason whatsoever. 12. The winner of the CANVAS storywriting competition will be announced on or around the first half of March 2016. The winner will also be notified via email/text on the same announcement date. 13. CANVAS reserves the right not to award the competition prize in the event that the judges decide that no entry was received that is deserving of the top prize. In such unlikely event,however, CANVAS shall have no right whatsoever over all entries that were received; and shall not publish any entry, in its website or in any other venue, without the prior written consent or agreement of the author. 14. The decision of the competition judges shall be final, and no correspondence or inquiries into the same - including requests for comments/feedback on received entries - shall be entertained. 15. Employees of CANVAS, and members of their immediate family, as well as the Artist's immediate family, are disqualified from participating in the competition. The competition rules (Rule 9) clearly state that the winning author should agree to transfer all rights to CANVAS and"...shall not be entitled to any other royalties or fees from earnings, if any, that may result from future publication of, derivative works, licensing of, or other transactions on the same." This note is just to clarify where it is that CANVAS is coming from. First of all, having complete ownership of the story rights makes it easier and less complicated for us to quickly and liberally share and give our consent to anyone who may ask for permission touse the winning story (something that we have always granted in the past). It is for this very reason that the stories and illustrations of books we publish are all available for free viewing and enjoyment on our website (http://www.canvas.ph), despite the concern of some that the easy availability of the stories on the Internet could eat into the sales of our books (which, happily, has not proven to be the case). Beyond this, our stories are also available and downloadable on our website FOR FREE, in both English and Filipino. Just as we were fortunate enough to have been given permission to adapt "The Man Who Planted Trees," into our maiden publication - "Elias and HisTrees," - we hope that the stories that we work on will inspire similar creativity. A second reason why we ask for the transfer of rights is that CANVAS is a small nonprofit, and is not equipped to document and track royalty shares that ideally should accrue to authors and artists. It is for this reason that our prize (we think), is quite substantial and approximates (if not exceeds) what writers would normally expect to receive in royalties. 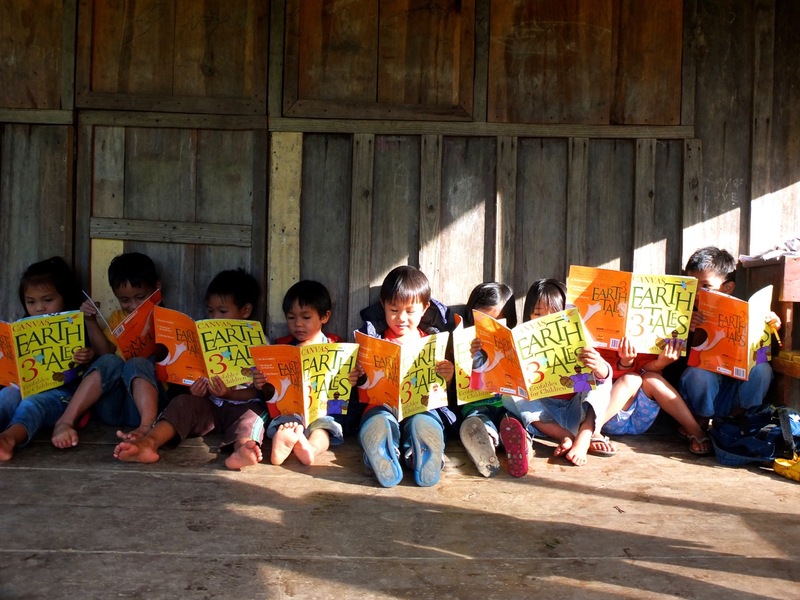 Finally, aside from the possibility for getting some of our books published abroad, we also sometimes talk with corporations about sponsoring the publication of books that can be given away to children in public schools and disadvantaged communities throughout the country. Clear and complete ownership of the rights makes it easier for us to pursue this mission. Thank you, and we look forward to reading your stories!!! Eto na naman! Join our latest Romeo Forbes Children's Story Writing Competition! 1. The Romeo Forbes Children's Story Writing Competition is open to all Filipinos. 4. 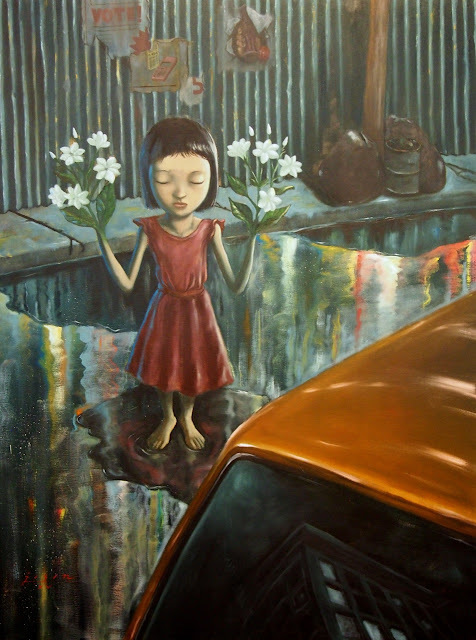 There is no particular theme, other than the use of this year's contest piece, a new work (shown above) by artist Rommel Joson, as the inspiration or basis for the entry. Based on the points received, CANVAS shall forward a shortlist of three to five stories with the highest scores to theArtist. The Artist shall then provide comments on any or all the stories, for consideration by the panel of judges. 6. Entries must be submitted by email, as a Microsoft Word attachment, to storycontest@canvas.ph with the subject heading ROMEO FORBES CHILDREN'S STORY WRITING COMPETITION. Entrants must include a cover sheet with their name, mailing and email address, and telephone number. Only the story title should appear on all pages of the entry. 7. The deadline for submission of entries is 5:00 p.m. (Manila time), Friday, 16 October 2015. Kindly note that CANVAS acknowledges each and every entry that we receive. If you submitted a story, and do not receive an acknowledgement from us within 24 hours, please assume that your story was not received and kindly resend it to us. 12. The winner of the CANVAS storywriting competition will be announced on or around the second half of January 2016. The winner will also be notified via email/text on the same announcement date. Beyond this, our stories are also available and downloadable on our website FOR FREE, in both English and Filipino. Just as we were fortunate enough to have been given permission to adapt "The Man WhoPlanted Trees," into our maiden publication - "Elias and HisTrees," - we hope that the stories that we work on will inspire similar creativity. CANVAS is very pleased to announce that Jessica Luciano Olmedo has won the latest Romeo Forbes Children's Story Writing Competition for her story, "Mga Munting Patak ng Ulan." She edged out two other finalists, Michaela Sarah De Leon ("The Three Marias") and Raymond Falgui ("Which National Hero Are You?"). These three amazing stories were inspired by Alee Garibay's untitled contest piece. Thank you to our judges, Town and Country Editor-in-Chief Yvette Fernandez and artist and designer Liza Flores. CANVAS Executive Director Gigo Alampay served as the third judge. Congratulations to Jessica! Congratulations too to Michaela and Raymond, and thank you to all the other writers who participated! We look forward to bringing this new book to life next year. Meanwhile, the next Romeo Forbes Children's Story Writing Competition, featuring a new contest piece by Rommel Joson, is just around the corner! Malapit na! Abangan! Eto na! Our Latest Romeo Forbes Children's Story Writing Competition! Sali Na! 4. 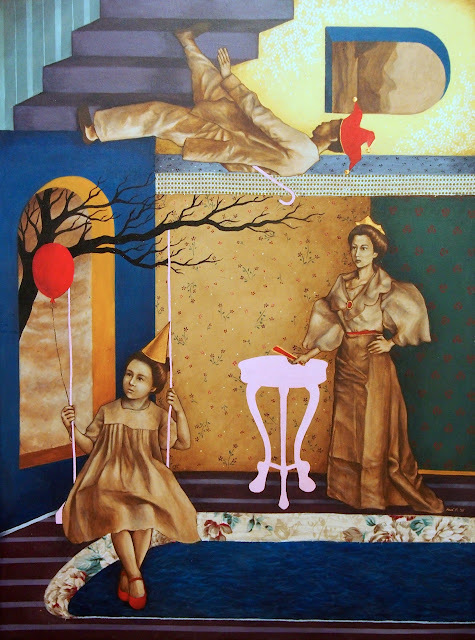 There is no particular theme, other than the use of this year's contest piece, a new work (shown above) by artist Alee Garibay, as the inspiration or basis for the entry. None of CANVAS' review panel, the judges or theArtist shall see any entrant's name until the winner is chosen. 6. Entries must be submitted by email, as aMicrosoft Word attachment, to storycontest@canvas.ph with the subject heading ROMEO FORBES CHILDREN'S STORY WRITING COMPETITION. Entrants must include a cover sheet with their name, mailing and email address, and telephone number. Only the story title should appear on all pages of the entry. 7. The deadline for submission of entries is 5:00 p.m. (Manila time), Friday, 12 June 2015. 12. The winner of the CANVAS storywriting competition will be announced on or around the second half of August 2015. The winner will also be notified via email/text on the same announcement date. The competition rules (Rule 9) clearly state that the winning author should agree to transfer all rights to CANVAS and"...shall not be entitled to any other royalties or fees from earnings, if any, that may result from future publication of, derivative works, licensingof, or other transactions on the same." DOWNLOAD OUR FREE CHILDREN'S E-BOOKS!!! Download, print, share, read and enjoy our award-winning children's stories - ALL FOR FREE! Click here for our download page. 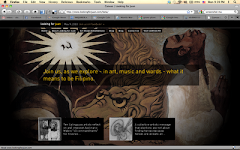 Celebrate Philippine art, culture and environment at www.canvas.ph! Visit our online store! 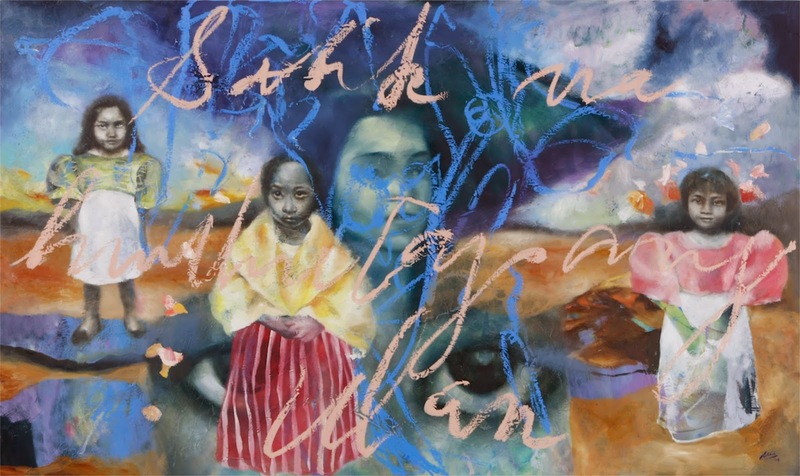 Your purchases will help to support CANVAS efforts to promote Philippine art, culture and the environment to the global community.